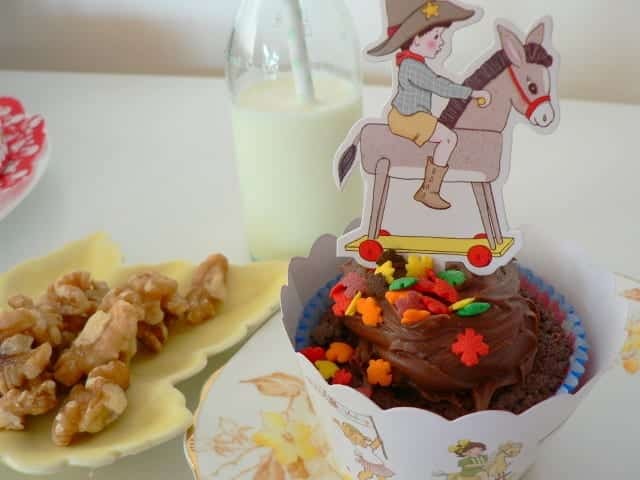 For this classic/retro/old-school looking baby, there was no choice for her first birthday theme but a Belle and Boo theme. I spied the Belle and Boo range on Lark some time ago and was a bit over excited about the old fashioned, not too girly (no pink!) party range. 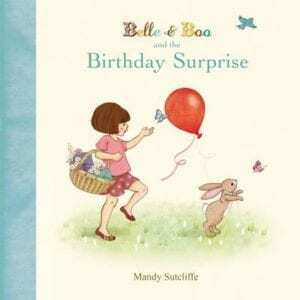 Just in time for ChickPea’s first birthday, ‘Belle and Boo and the Birthday Surprise’ was released. 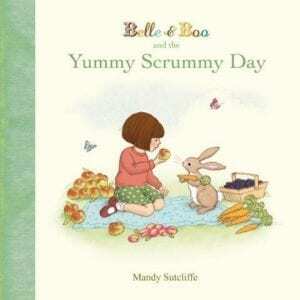 Since then Mandy Sutcliffe has written and illustrated ‘Belle and Boo and the Yummy Scrummy Day’ and ‘Belle and Boo and the Goodnight Kiss’. Belle is the little girl, Boo is her pet/toy rabbit, and oh how I wish rabbits were allowed in Queensland- guinea pigs just don’t have the same appeal! Each of the three books starts with the line “This is Belle, and this is Boo. They are always together –on sunny days, rainy days and dreamy let’s-be- lazy days”. 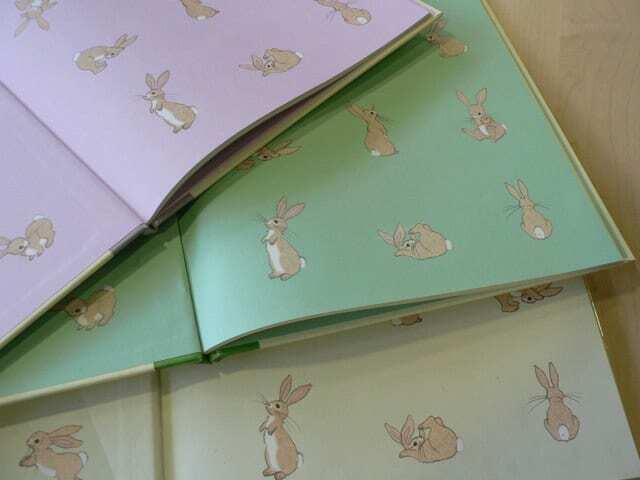 All three books also all have matching endpapers…and I do so like a good endpaper. The ‘Belle and Boo’ stories are just delightful and the illustrations are exquisite. For me ‘Belle and Boo’ is a wonderful blending of the best of Milly-Molly-Mandy and the best of Winnie-the-Pooh. It’s lovely to take a break from modern picture books and escape into the dreamy world created by Mandy Sutcliffe…I’d like to stay a while actually, and go hunting for blackberries! 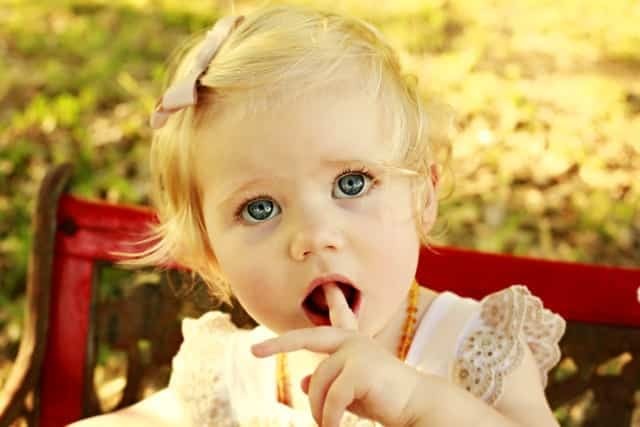 Belle reminds me of a female version of Christopher Robin-she is at all times in charge, there are no adults present in the stories and Belle and Boo are the very best of friends, as were Christopher Robin and Winnie the Pooh. 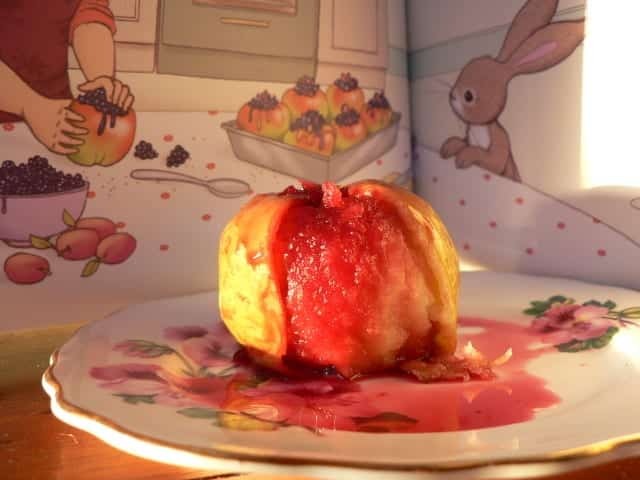 After reading ‘Belle and Boo and the Yummy Scrummy Day’ PudStar and I made baked apples with blueberries as Belle does. I was hopeful that like Boo, the smell would entice her. Sadly it didn’t and The Destroyer ate them both. Boo and his carrot eating also reminded Pud that I promised we’d plant more carrots. 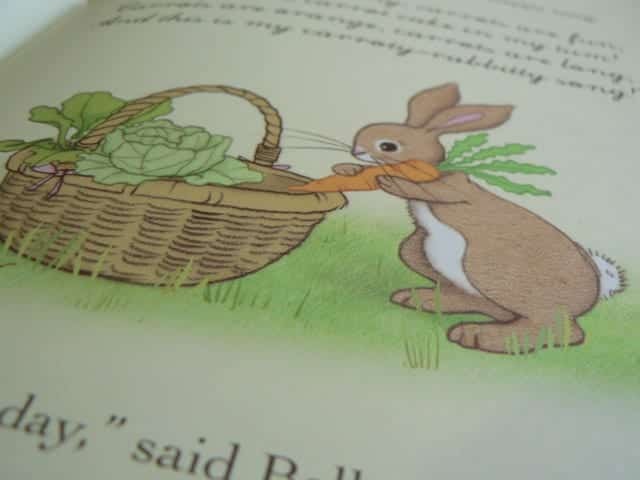 We’ve been planing carrots since first reading ‘Parsley Rabbit’s Book About Books’…with some sucess and a few failures, that’s gardening with children for you! 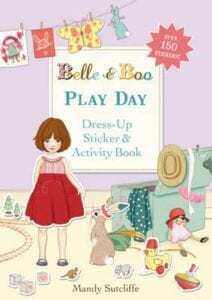 You can purchase the Belle and Boo products and some books from Lark. Belle and Boo books can be purchased by clicking on the covers below. ChickPea is getting the Belle and Boo trinket boxes and star charts from Lark for her second birthday…because I live in hope that one day she will earn a star. I’ve also pre-ordered the Belle and Book sticker books, which are released in July. 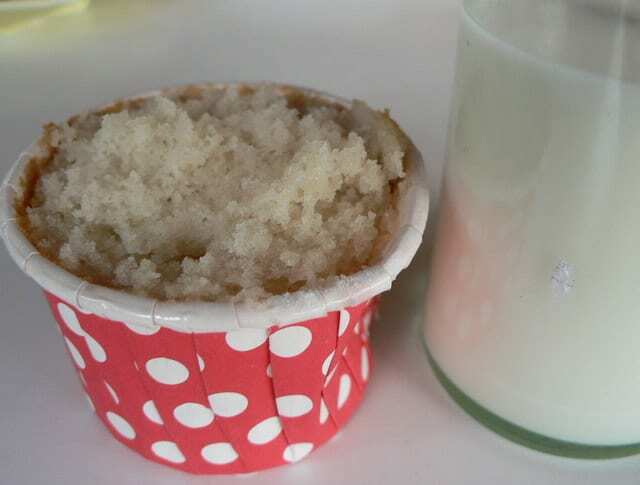 Do other people have children who only eat the icing? Oh I LOVE Belle & Boo too! They just released the fabric range in Australia so I purchased Ava & Friends and had it made into a doona cover for Miss O! 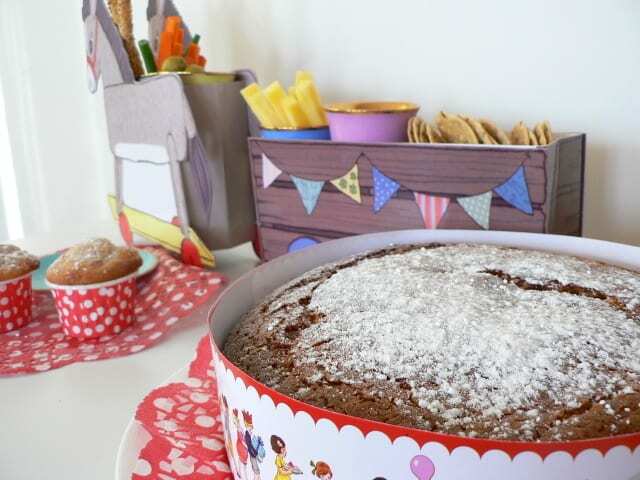 Such a sad story behind Ava’s range but we will be celebrating in August with a tea party just like the beautiful Belle & Boo print that will have plenty of cupcakes with just the icing eaten! Lark is an amazing shop, and I had no idea that Belle & Boo books existed until now. Thanks for sharing! I know! I saw the Lark products first too! Then found the books…double win! I’m hoping she’ll one day get a star on a chart…maybe when she’s 10? Count me in Megan! 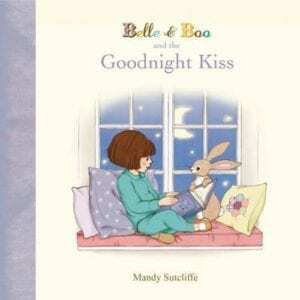 I love Mandy Sutcliffe’s gorgeous Belle and Boo … so nostalgically sweet. Thank you so much for sharing the wonderful belle and boo books. I had never heard of them before! I love finding a new book! Beautiful Megan! They have that look that just screams read it with nanna! Love love love all the accessories too. In your words…oh how I do love a good accessory! Yep my nan LOVES them! mind the girls for me while I go Aunty Aym???? nice finding a new book isn’t it! Wow – these books look fabulous and the rest – wow – what a bonus!! Ohhh I may of just made it in time for this beauty ! I would have trouble sharing these gorgeous pieces with my girls! Straight to the pool room I say ……or more like just straight to Mummy’s office instead! 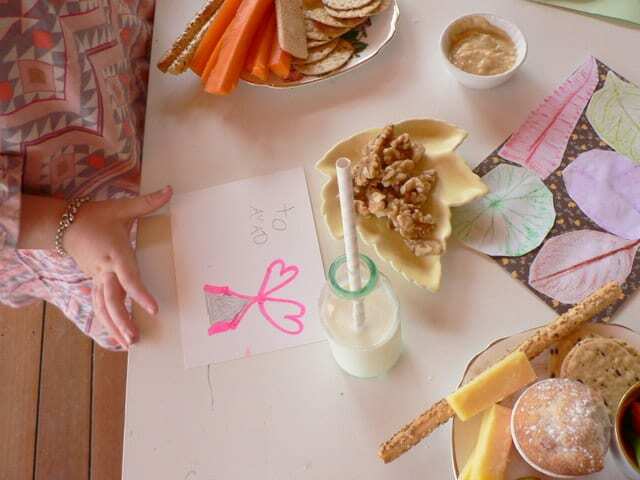 he he he…I have terrible trouble ‘sharing’ some of my most favourite picture books! WHY OH WHY can’t they eat the whole cake?! I love Milly-Molly-Mandy also! My Belle and Boo books at school are ALWAYS out!